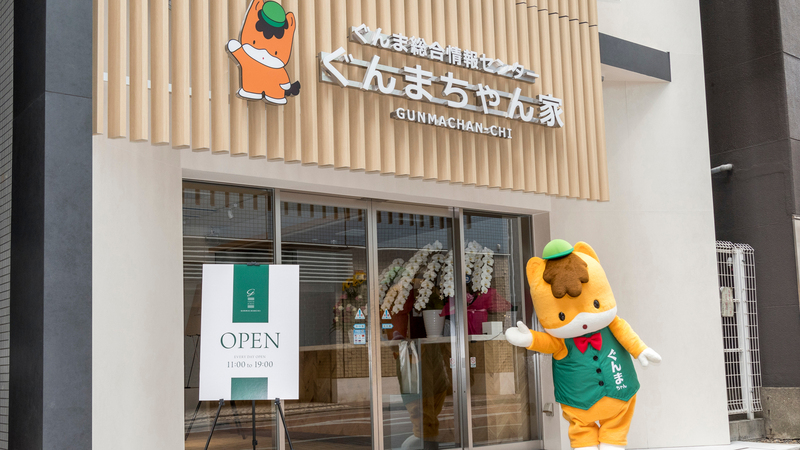 The Center is an ‘antenna shop’ (tourist information and local specialty shop) that provides information on all the wonders of Gunma Prefecture including local specialties, tourism, business and more. - Local products shop (1F): Offers a special selection of local products. - Tourism information (1F): Get travel information or assistance buying bus tickets. - Restaurant department (2F): Restaurant called Ginza Tsuru. Serves char-grilled Joshu Wagyu beef and dishes made with vegetables grown in Gunma under the supervision of Kunio Tokuoka, the executive chef of Kyoto Kitcho. The Center is an ‘antenna shop’ (tourist information and local specialty shop) that provides information on all the wonders of Gunma including local specialties, tourism, business and more.